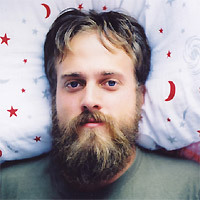 A Florida native, Samuel Beam (aka Iron & Wine) got his start self-releasing lo-fi, home recorded material in his Miami. 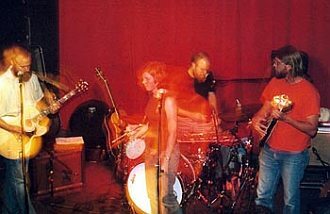 He eventually caught the attention of Sub Pop co-founder Jonathan Poneman, and asked Beam to submit a record to the label for consideration. A few months later Poneman received two CDs in the mail. 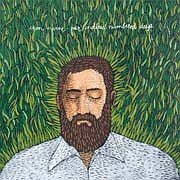 Considering releasing them as a double-album, Beam and Poneman eventually settled on slimming it down to one album, the 12-track Iron & Wine debut, The Creek Drank The Cradle, a record that soon marked Iron & Wine's status as one of the up-and-coming acoustic singer-songwriters in the indie scene. Touring incessantly for the record's release, and garnering plenty of praise from both critics and fans alike, Sub Pop asked Beam to go into a professional studio (which would be a first for him) and record The Creek Drank The Cradle follow-up. "I recorded all the songs at home prior to going into the studio, so the writing process wasn't different," Beam comments, answering the different in his writing and recording methods for his sophomore Sub Pop release, Our Endless Numbered Days. "Recording, however, was different. I got to use better mics and equipment, which was nice. It was all pretty new and I didn't really know what I was going to do." "The time clock was a real pain," he adds. "It was an element I wasn't used to." Working underneath a time clock isn't something Beam had done prior on his bedroom spun, home recordings. However, despite this obvious setback and challenge, Beam was excited to enter the studio, not so much for the better equipment (which excited him a lot), but because he was going to be able to try new things and experiment with things he can't do at his home studio. "The piano, organ, and drums, those are benefits of recording in the studio. I don't think I could have done those at home," he admits. With any new direction, artists are either welcomed with open arms by their fans, or a backlash ensues. Sometimes both occur, which is the case with Iron & Wine. "Both have their pros and cons," he says, discussing the outcome of the home studio versus the outcome of a professional studio. "There are some stuff that people miss about the lo-fi home recordings." Despite some people's objects for his fuller sound, Beam is quick to point out that he, as an artist, needs the diversity, and as much as he'd love to call up every fan to see what they think of the new stuff, he just can't. "I like people to enjoy what I'm doing, obviously. But at the same time, I can't call everyone to see what they think. I definitely need a lot of variety, for my sake. I like to switch it up for myself and the public, which, hopefully like it." Fans will be happy to hear, however, that despite where the final product is recorded, Beam begins each song by demoing them at home and working on them in his home studio before bringing them anywhere else. When it came time to turn in the album, Beam, who had recorded sixteen songs, turned in twelve which comprise Our Endless Numbered Days, and saved two for the 7" that accompanies the vinyl release of the album. Our Endless Numbered Days also marks the first time Beam used other musicians to flesh out the songs. When asked how this worked for him, and who came up with what parts, Beam tells me, "It was good. We did a little bit of both, they added their own parts and some parts I told them what to do." Beam tells me that, when entering the studio, he knew how, but not what, the outcome would be, stating "I never sat down and said this is what I'm going to achieve. It just happens. I have a pretty good lead on what my craft is, and what I want". Exploring the messages and themes behind the lyrics, a strong selling point for any singer-songwriter, especially one known for his lo-fi, acoustic, minimalist compositions, Beam seems a bit apprehensive to answer the question, but proceeds nonetheless, telling me that the record runs in a lot of different directions, both musically and lyrically, but lyrically a lot of the songs deal with mortality and love ones. Beam and his band's current plans include doing East Coast dates in June and July, followed by a week in Europe. If you have not yet heard Our Endless Numbered Days the record is highly recommended, one of the year's best releases.